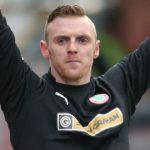 Brian Neeson believes the friendly rivalry he has with fellow goalkeeper Richard Brush ensures no complacency sets in between the sticks for Cliftonville. 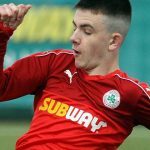 Brush’s August arrival saw Neeson’s game-time limited until his English counterpart suffered illness in the aftermath of the Reds’ last encounter with Newry City and, ahead of tomorrow’s Danske Bank Premiership clash with the same opponents in what will be Manager Paddy McLaughlin’s first game at the helm, Neeson – who has watched from the sidelines after being sent off against McLaughlin’s Institute just before Christmas – says both keepers are fully supportive of one another. 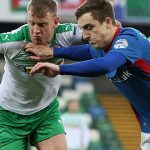 “It has been frustrating after being suspended,” admits the 29-year-old. “Me and Richard just back each other and push each other as much as we can. If you get a chance, you’ll be ready to take it – you can’t be throwing the toys out of the pram. You can read the full Neeson interview in tomorrow’s edition of our Matchday Magazine, which will be on sale at Solitude for £2.50. 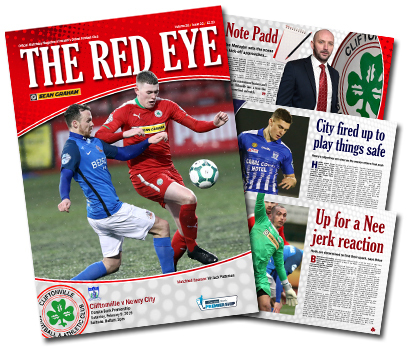 Alongside your latest player poster, The Red Eye’s 20th issue of the campaign carries new boss McLaughlin’s first managerial column, reflects on City’s remarkable rise through the ranks and steps 135, 62 and 34 years back down memory lane – plus plenty more besides. 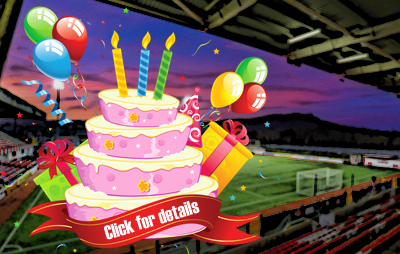 Tickets are not required for this fixture and spectators can pay cash at the turnstiles. Members Tickets, Season Tickets and Family Tickets are valid for this match.